Home / Uncategorized / Friends Helping Friends!! New York Open Mic Podcast! Friends Helping Friends!! New York Open Mic Podcast! Hey guys!! My amazing, insightful and talented friend BrokeMC has started a great podcast series called the New York Open Mic Podcast, where he shares the talents and magic of open mic performers around New York and interviews open mic hosts. One of the many great things about this podcast is how complexly varied the performances are. So many genres of audial expression- freestyles, impromptu poetry, folk, punk, rock, beat boxing, just to name a few- are presented by first timers and veterans, sometimes side by side, that you can almost feel yourself in the room sometimes. ALSO! Broke does a great job of sharing information on the venues and musicians in the podcast, so finding a new favorite musician is easy! His Open Mic directory is also a huge help to aspiring musicians and performers who are looking for places to express their truth. There are only a few episodes so far, but I’m excited to hear what the future has in store for this podcast. 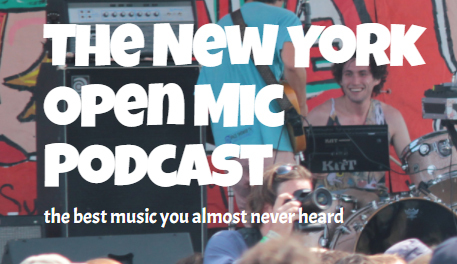 Make sure to check out New York Open Mic Podcast! Previous post: Friends helping Friends!! Next post: Friends Helping Friends!! Kincade Productions!